Congratulations to Ken Stratford who wins the 2011 BBC Wildlife camera-trap competition, with this photo of a lion and black-backed jackal standoff. The award will go to Ongava Research Centre in Namibia. © Ken Stratford. 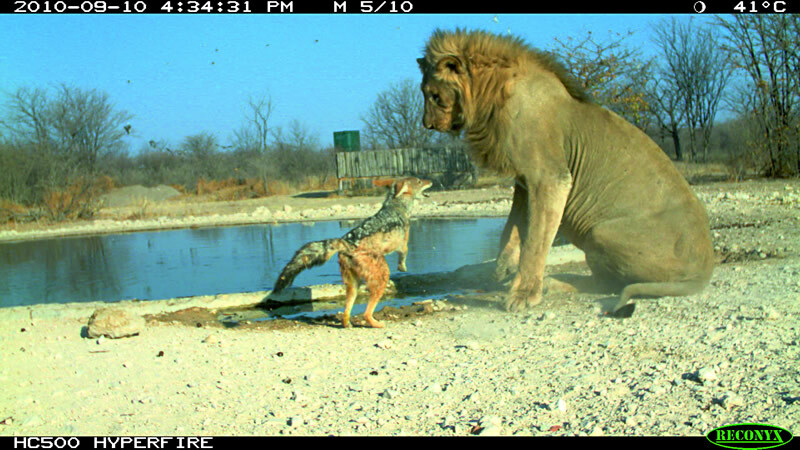 A black-backed jackal confronting a young adult male lion – in broad daylight: this is the incredible winning image of this year’s BBC Wildlife Magazine Camera-trap Photo competition. The photograph by Ken Stratford is exceptional, but more importantly it has directly raised funds for the conservation organisation he works for, the Ongava Research Centre in Namibia. 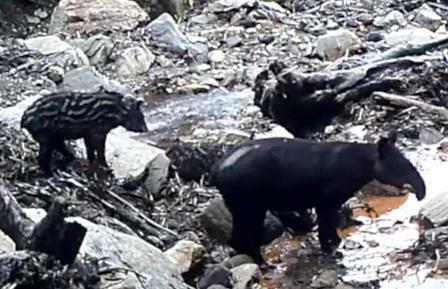 Launched in 2010, the competition has been raising awareness and funds for conservation by searching for the most exciting and revealing camera-trap images being captured by scientists around the world. The judges give particular weight to the contribution that each image makes to scientific knowledge. 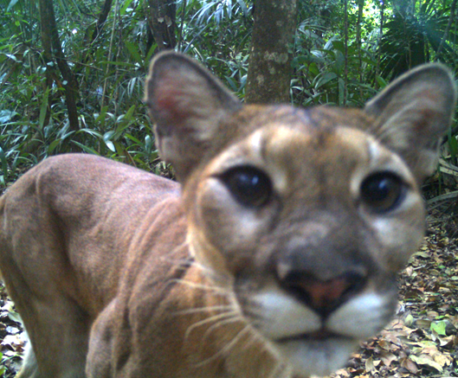 Camera-traps have revolutionised the way that conservationists study animals in the wild, gaining intimate knowledge of their behavior and leading to some astonishing new discoveries. They are contributing enormously to scientific knowledge, hopefully leading to improved conservation of the species. Judges included Mark Carwardine, who is a Council Member of WLT, Dan Freeman, long-term supporter and ex-BBC camera-man, and Sophie Stafford, BBC Wildlife Editor.